My train from Groningen arrived at Central Amsterdam train station around the time of sunset. I took a short walk to the underground metro station and traveled to Waterlooplein station. I was following the offline walking directions on Here Maps on my Nokia phone. 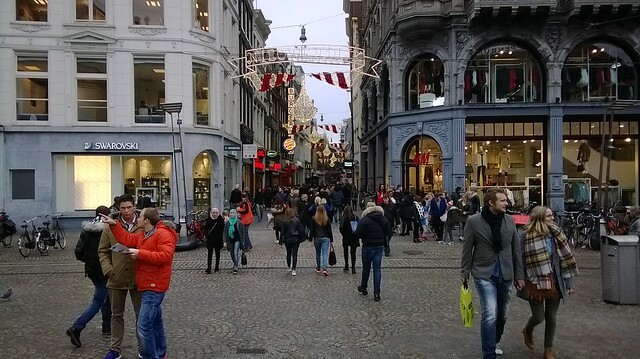 From Waterlooplein station I continued walking to Hotel Hermitage which was 5 to 10 minutes away with luggage. It was quite cold. After I checked in I had to climb 4 flights of narrow windy stairs to my room. Hotel Hermitage has no elevator. 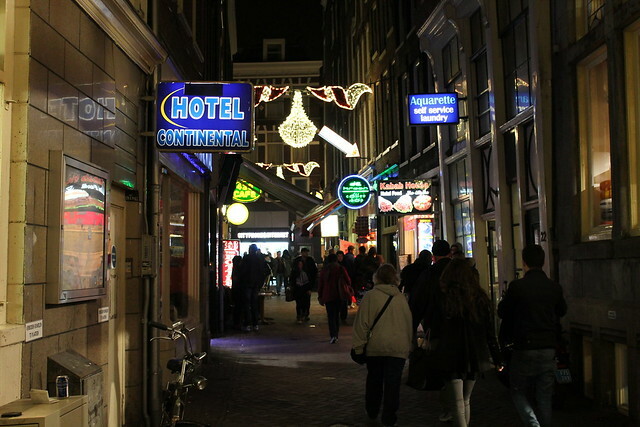 I rested until 2030 and decided to get some supper and explore a little of Amsterdam. 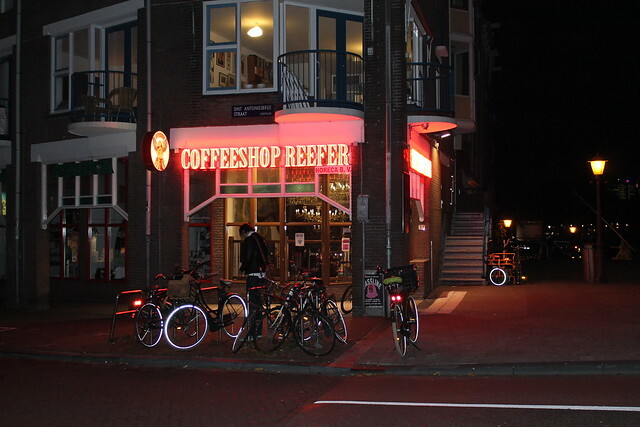 This was my first trip to Amsterdam. 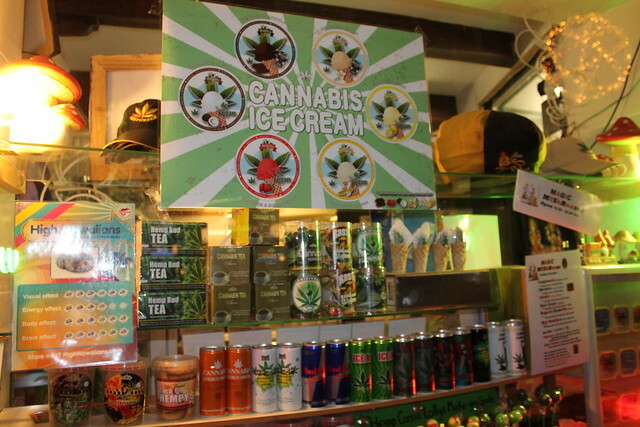 I was surprised to see stores openly advertising and selling magic mushrooms and cannabis products. 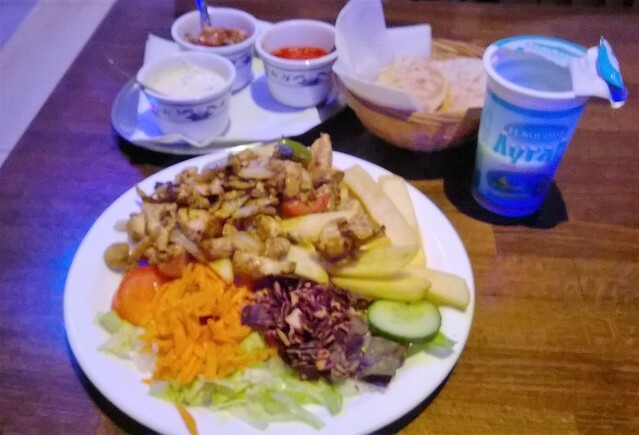 It didn’t take too long for me to find a Halal restaurant on Newe Reijstraat. Although the food was quite expensive, it was decent. After supper I walked by a few of the shops before turning back and heading back for bed. The next morning I had breakfast at Hotel Hermitage at 9 but chilled in my room watching old episodes of Scrubs before setting out at 1130am. 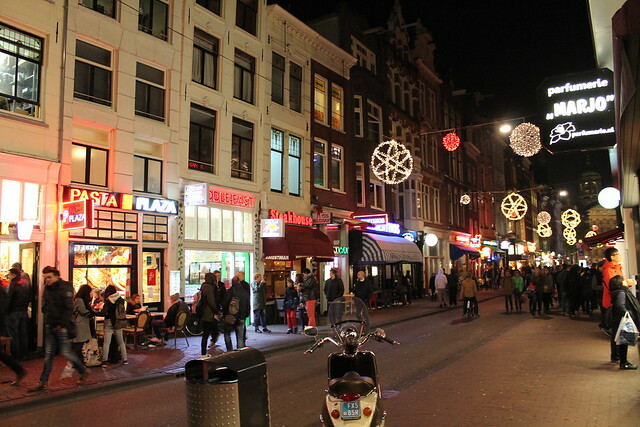 Amsterdam was my final destination on a 1 month European trip and I was tired. My mission for the day: Shopping for leather shoes as I failed to find anything good in Italy. 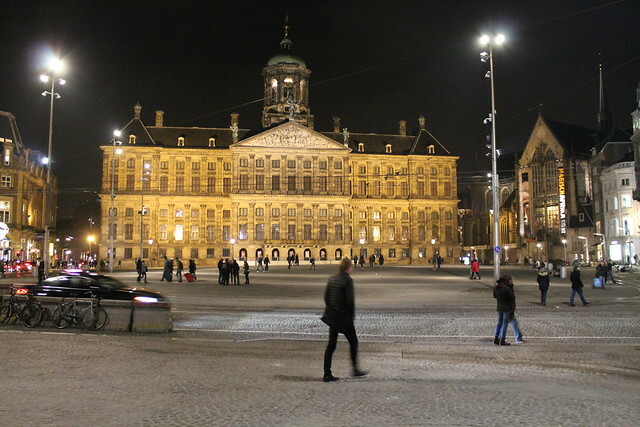 I headed to Dam Square, the notable town square and tourist spot less than a kilometre from the train station. On the one end of the square is the Royal Palace. 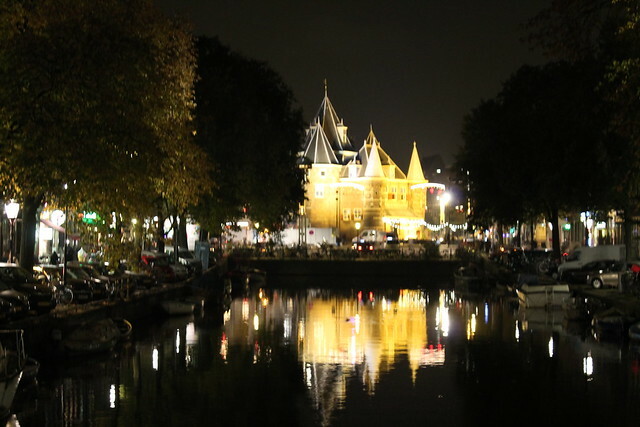 Beside it are the 15th-century Gothic Nieuwe Kerk (New Church) and the Madame Tussaud’s Wax Museum. The National Monument, a white pillar resides on the opposite side of the square. There is also the NH Grand Hotel Krasnapolsky and the De Bijenkorf department store. I had a look at Peek and Cloppenburg department store but found the items on sale disappointing, compared to what was available in their stores in Germany. 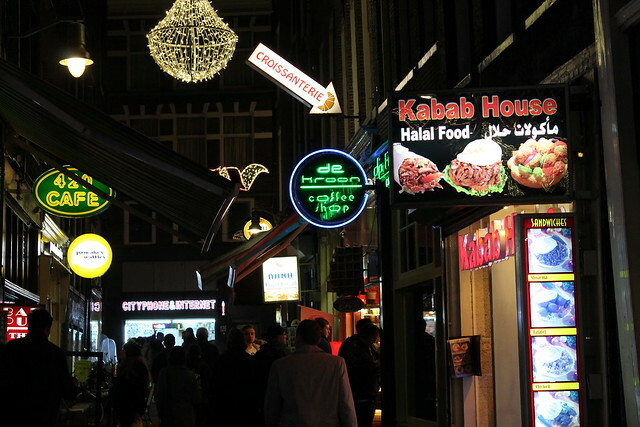 You will see many of the same franchise stores on Nieuwendijk, Kalverstraat and Damstraat, the shopping streets around Dam Square. Before I could begin my shopping I needed an energy boost so I decided to try a Ben and Jerry’s cookie dough ice cream, the first time I’ve ever eaten at that establishment, and that flavour. It was a bit too sweet for me. 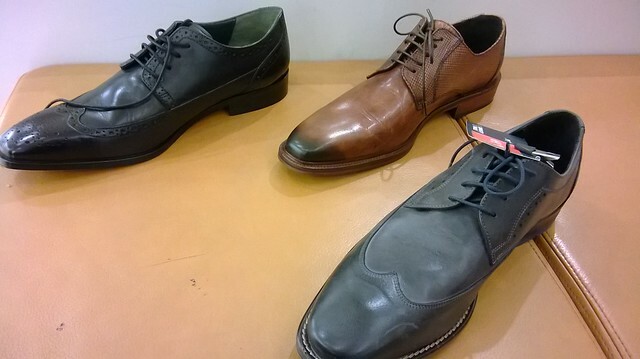 I ended up purchasing 3 pairs of leather shoes from Manfield. 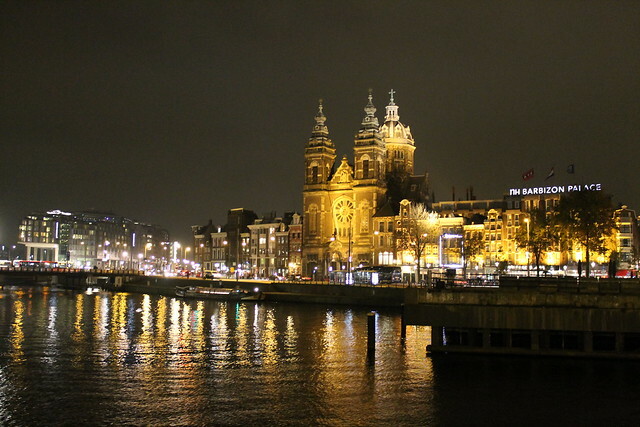 I then took a walk alongside the Amstel River near the Central Station. After a plate of pizza for lunch I purchased some souvenirs and a new backpack to replace my ageing one. I then headed back to Hotel Hermitage after 6pm, stopping at a local bakery for some macaroons on the way. I’d spend the last night of my trip to Europe packing, resting and watching old episodes of Friends and more Scrubs on tv. By 11pm I was fast asleep. I had set my alarm to wake me at 0530am as I was planning to be on the 0640am train to the airport for my 10:10am flight back to Johannesburg. However I only awoke at 0620am and left at 0705am after making 2 trips down the 4 flights of stairs at Hotel Hermitage to move my luggage. At 0718am I arrived by metro at the Central Station, purchased my tickets to the airport and was on the 0728am train to the airport. I can tell you that I did run a bit that morning, since myself and a few other passengers were waiting on platform 4a but the train arrived further down on platform 4b. I arrived at the airport at 0745am and made the long walk to the customs and tax free counters to get my tax refunds for my tax free purchases in Italy and Netherlands. This airport had a self-service baggage drop off system but I wasted a lot of time trying to get the system to accept my luggage. The scale showed that I was 300g overweight. I then moved to the assisted-check in counter where that scale showed that I was fine (at 23kg). By the time I checked in there was only 40 minutes left before my plane was scheduled to depart so I headed straight for airport security and the plane. I boarded on time with no hassle, which is always great, especially after a long and busy trip and began my journey home to Johannesburg. Amsterdam is one of the most beautiful European cities. I would go there again and again!